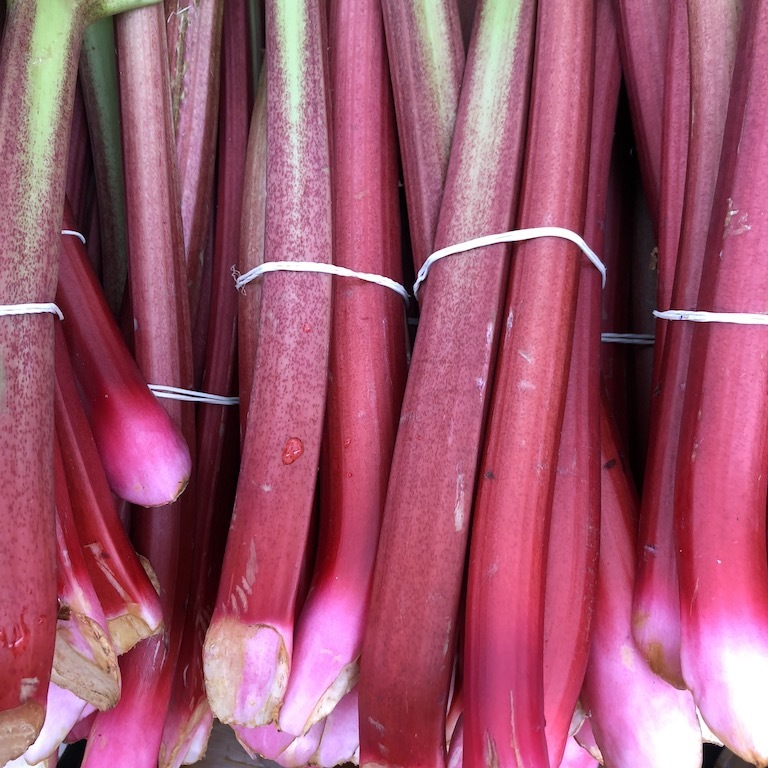 Nothing says springtime has finally arrived like British rhubarb in majestic shades of red and pink. T & V Vegetable Gardens had the first of their crop available at the March market and, boy, was it beautiful. Tanya (the “T” in T & V) said that, although the first flush was a bit shorter than usual, it more than made up for the lack of length in intensity of colour and flavour. The crop will last a few more months, so pop by their stall to pick up a bunch or two, perfect for crumbles and compotes and maybe even an infused cocktail.